JBT Corporation, a global leader in food and beverage processing solutions, has announced the launch of the SteriCompact processing system, the latest in the company’s Sterideal® HX UHT range of systems, which has been specially adapted to meet demand for smaller pack sizes in emerging markets. The SteriCompact UHT, which is based on JBT’s globally successful Sterideal HX UHT system, will cater for the move towards reduced scale milk and juice production and pack sizes in developing economies, as well as specialized products in high-end markets. Already in the process of being installed with processors in Brazil, Thailand and India, the system is designed for a smaller volume production in smaller packages – of down to 80 ml – than has been common in most markets to date. Dairy producers worldwide favor the JBT Food & Dairy Systems Sterideal HX UHT concept for its robustness, resulting product quality and ease of operation. The unique helical configuration of concentric tubes ensures effective thermal treatment combined with efficient heat recovery and optimal product handling. 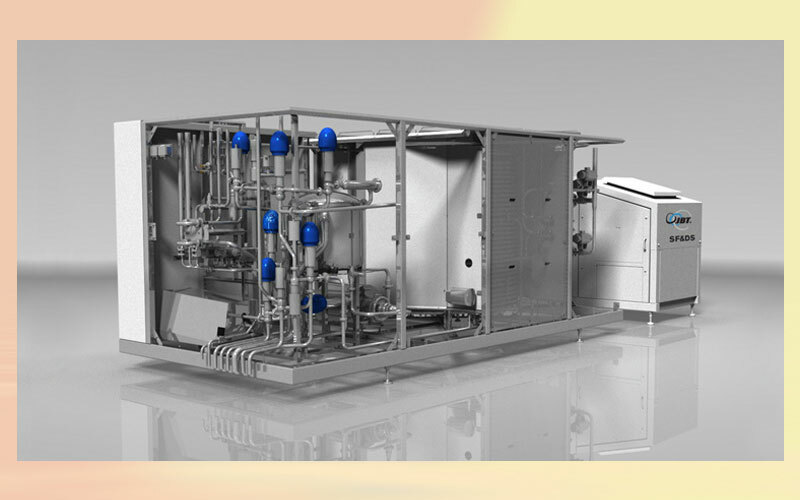 The tubular inflow processor is used for pasteurizing and sterilizing dairy products, juices and higher viscosity products like tomato sauces and desserts.